Forty years??? Yesterday would have been Brian’s and my 40th wedding anniversary. Wow, that seems like a long time. We only made it to 24, almost 25. Each year on my anniversary, I let myself think for a few minutes about how we would be celebrating if he was still here. 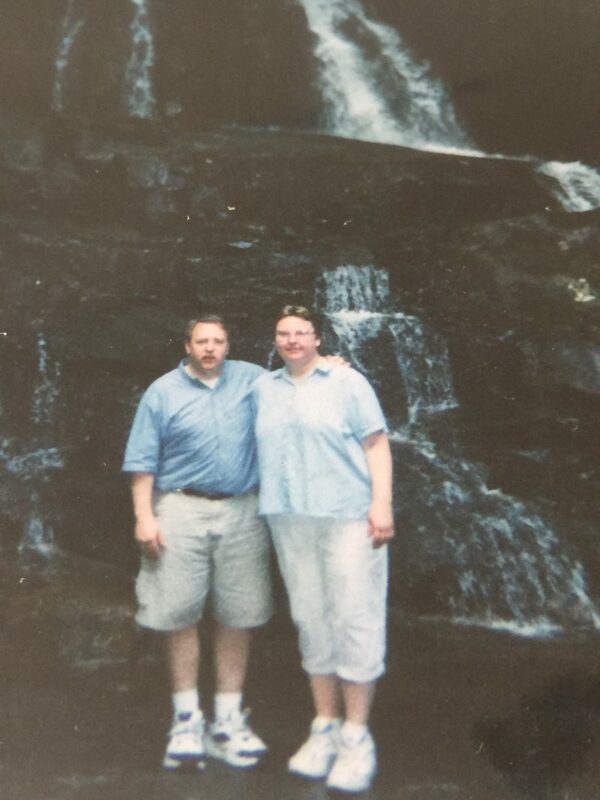 Brian loved to give the schmaltzy cards, flowers and candy. 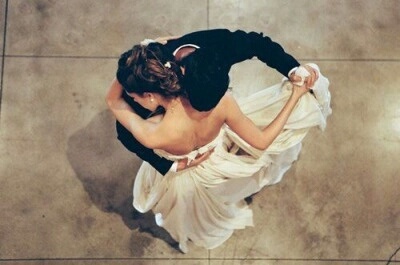 He was every woman’s dream date, and believe me, I know how lucky I was to have him. I think he felt the same way because after he died, I found every card I ever gave him! Marriage is really a hodge-podge of feelings and emotions as you go through life together. If you’re lucky, the happy times greatly outweigh the bad times! But, as my mother cautioned me before I got married, “There will be happy times and not-so-happy times and there will be times you will be flush with money and times you won’t have enough.” Oh, the wisdom of our mothers! But, to carry on with my day: I learned a big lesson this year. First, I’ll tell you about my afternoon and then I will tell you the lesson (oh, the suspense!). After lunch (Melissa bought me Jersey Mike’s subs, which were excellent, as always), Janelle and I went to the store to buy some supplies for a friend of mine who was ill. We went around the store picking out things we thought would be good and then we delivered them. So, here’s the lesson I learned…when you get too caught up in your emotions, it really helps to do something for someone else! That outing to the store gave me a purpose outside of thinking about how Brian is not here to celebrate with me. I’m going to remember this lesson for the next time I may need it! There were two other fun things from yesterday that I want to remember. 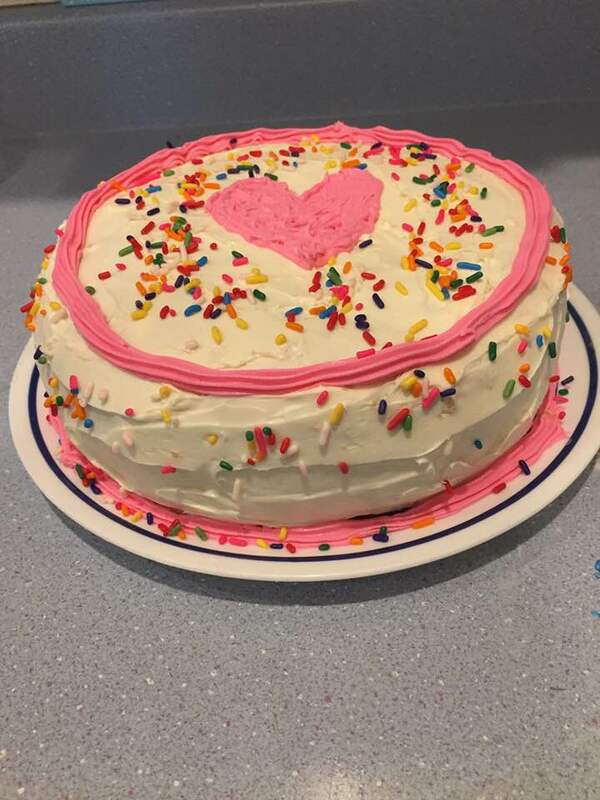 First, Janelle made me a cake that she called the “love cake.” It was truly a piece of art! Then, when we ate the cake, Melissa surprised me by buying me the first season of Bewitched on Amazon Prime. Sometimes we all need a little magic in our day! So you’ve finally popped the question? But have you thought about when the big day will be? Are you looking to tie the knot as quickly as possible, or do you want to give yourself time to prepare? 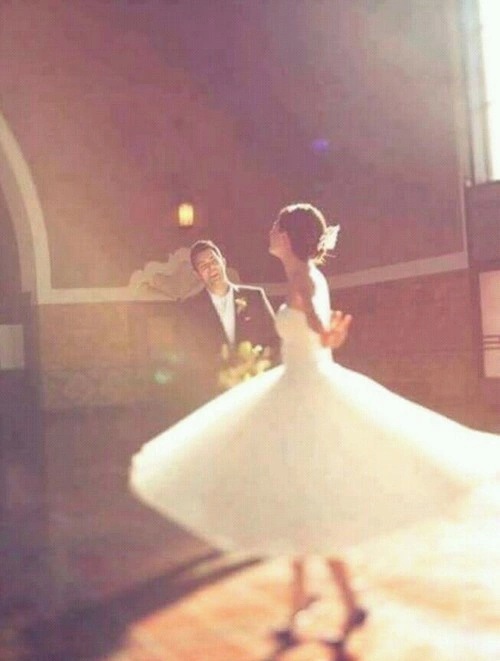 The fact is that, emotions aside, there are practical reasons for picking the right wedding date. Don’t jump into making the decision quickly or you could end up regretting it. Having a wedding is not a spur-of-the-moment thing. It requires time and effort. 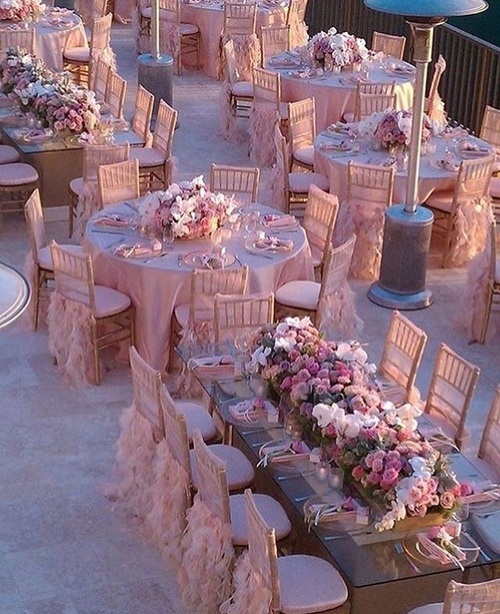 Most of the time, the bride has the scenario of the perfect wedding in mind — the venue, the dress, the cake, etc. All of these things take time to arrange. Plus, all of these things might not be available when you need them. “There’s so much planning that goes into a wedding and none of this can really get started until a date is set, but finding a suitable date can be a battle in itself!” says Katie of Orla James. Your wedding is your special day. But it wouldn’t really be all that special if all of those people you consider special to you were not there. While picking a date for your wedding, you need to consider the availability of your close friends and family. This doesn’t mean just anyone, but your nearest and dearest friends, people without whom you would feel your wedding is incomplete. Talk to these people and find out if there are any major events happening around them. Ask them if there are dates when they are busy. Give them your preferred dates, a month or a weekend that you like and have them give you their feedback. See what they come back with. Use this information to decide a few different date choices — choices that don’t include the ones when these people are not available. Do this once and once only, and like we’ve said, only with your nearest and dearest. The more people you involves, the more complicated it gets. If you know of someone else who may be planning a wedding, it would be advisable to ensure that there are no date conflicts with them either. 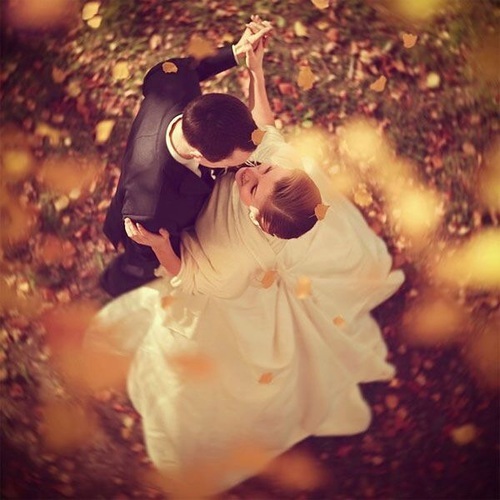 Another important factor while setting your wedding date involves the venue. Most people do not think of checking out their desired venue before setting a date, but this is essential. If you start looking for a venue after picking your wedding date, you are basically decreasing your options right away. With a number of potential dates in hand, you can look at and decide on a number of different suitable venues. Once you’ve found the perfect venue, you can decide which date works for you. There are some people who get married on specific days because of religious or cultural reasons. If you are one of those, then picking your wedding date could be out of your hands. But if you aren’t one of those, you should consider marrying on a date with special significance. See if the date of your first meeting or first kiss works for you. Maybe the date on which you proposed. You might want to honor your dead parents by having a wedding on the date of their anniversary. Picking an important date will add that extra bit of significance to your wedding, making it even more memorable. Just make sure that this date is feasible. 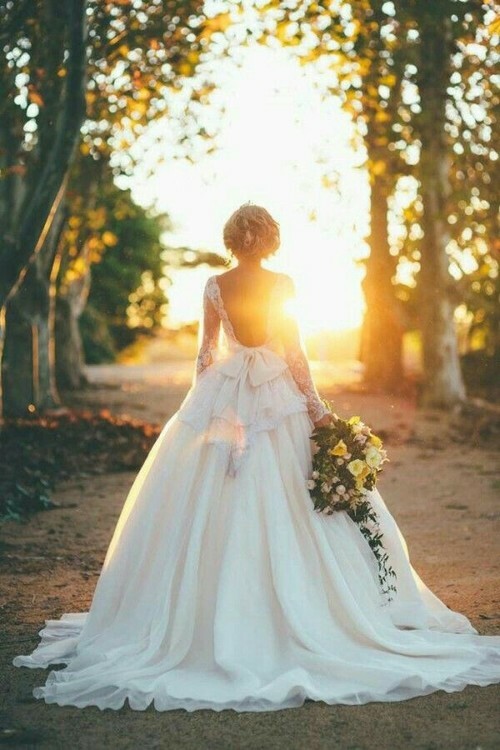 Most people don’t know this, but there is a wedding season during the summers leading into October. During this time, everything is expensive since a lot of weddings are taking place. Things may cost up to 2 to 3 times higher than what they do during off-season. This is due to supply and demand, and not something you can help. Only get married during the wedding season if you really have to. Also consider not getting married on weekends. For the same reason as above, everything is more expensive during the weekends. You can really have your pick of venues and catering if you do this. Then there are days that you just can’t get married on. There are specific days when it would be impossible for you to get off from work. Days like the end of the year when the accounts are closed. You don’t want to get married with the burden of work hanging over you. Plus, your honeymoon could be adversely affected. Public holidays like Christmas and Easter are out as well. Despite the bitter cold and impending snow heading to the Midwest this weekend, I’m psyched to be taking one of my classic Target trips tomorrow — Christmas shopping, HELLO! But…would you ever consider staging an anniversary photo shoot in everyone’s favorite shopping locale? Lauren and Corey Rexroad, an adorable couple from West Virginia who got married last year, did just that, and, well, I’m in love! 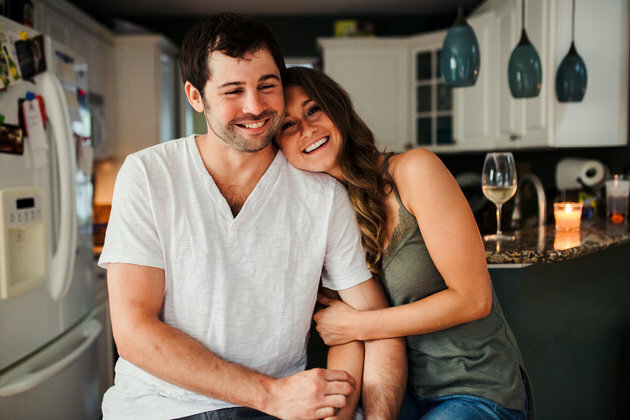 Lauren and Corey had spent a lot of time walking up and down the aisles of Target while decorating their first home together and wanted to capture the special spot the store has in their relationship. How cute is that? 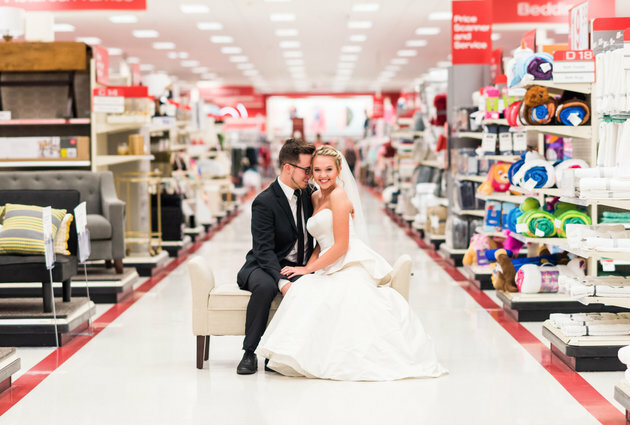 Target staff even made sure the aisles were clear so the couple’s full vision could come to life! 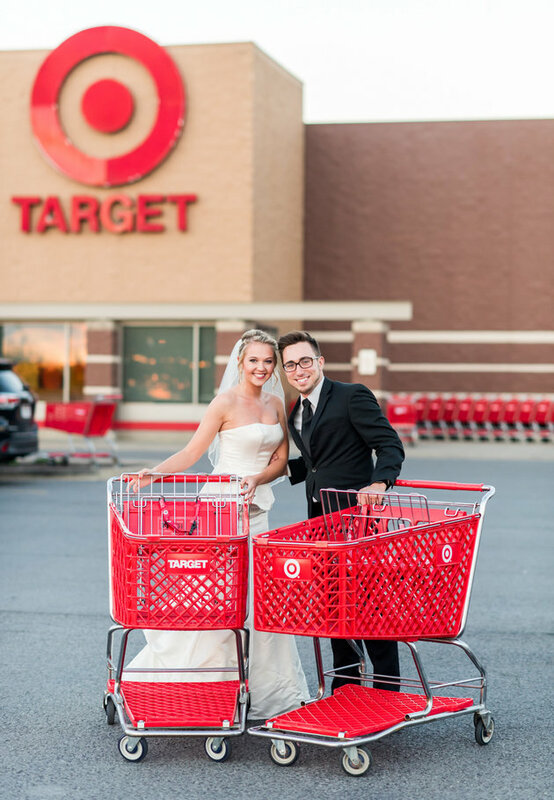 I don’t know about you, but I think this is such a romantic and creative idea; it’s a fun way to capture not just your wedding but also your first year of marriage because, honestly, who doesn’t spend half their life in Target? I had such a good time doing a TV theme song round-up last week, so I thought I’d do another fun round-up today. “Fields of Gold” — Sting: True, it may sound a bit, umm, melancholy, but it’s that sort of hauntingly beautiful melancholy. And that?? Well, that just makes all the difference in the world. Crimson & Clover — Tommy James and the Shondells: Those opening notes and damn, that hauntingly seductive opening line. Doesn’t it just sound positively perfect? “I think I can love her…over and over.” It’s just you and me, Mr. Melissa Blake — for all of eternity. “You Baby” — The Turtles: Because I like to break tradition every so often, why not opt for a song that you wouldn’t expect to hear? This one’s uptempo and it’s got such a sense of optimism to it. What a great send-off for starting your life with someone! “When I’m With You” — Sheriff: Oh, come on! You know I HAD to slip an ’80s power ballad in here, if for no other reason than for the pure, unadulterated emotion these songs express. It’s the perfect way to passionately describe how you feel about your loved one! “Please Forgive Me” — Bryan Adams: The idea of being so consumed by someone that you feel almost out of body? Sounds sort of intriguing, doesn’t it? Plus, I just love Adams’ gravely voice! “Groovy Kind of Love” — Phil Collins: Sure, this may be an overly simplistic song, but the greats always are. There’s nothing pretentious or conditional about this love. It just is. It’s how all great loves should be. I’ve come across some amazing engagement photos over the years, like an underwater engagement, travel-themed shoots, library love, a zombie engagement and a romantic Iceland escape, but what about taking the simple route and celebrating your engagement in the place where you perhaps feel the most comfortable? It sounds like such a novel, out-of-the-box idea, doesn’t it? 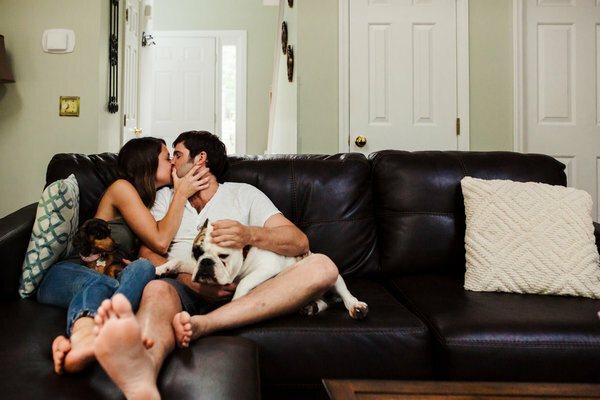 Well, newly engaged couple Melinda Kunze and Josh Blitchington opted for just that with their recent engagement shoot in their North Carolina abode. The result is a collection of photos that truly reflect the love between the couple, set amidst the backdrop of their everyday life. It’s dreamy and romantic and everything that gives me all the feels. And to make the photos feel as authentic as possible, they left the house as-is, leaving items on the counter and stuff on the fridge. 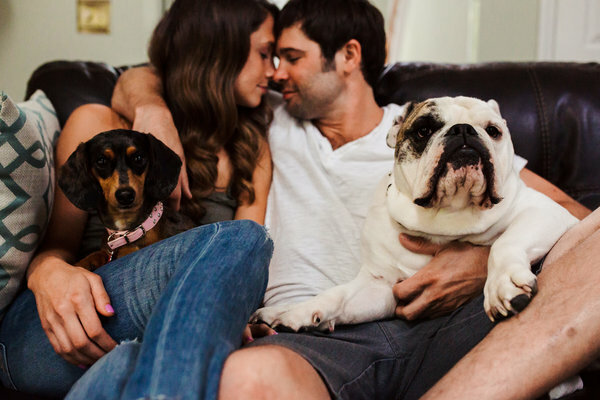 Plus, their pups shared some of the shots, which just ups the adorableness factor. 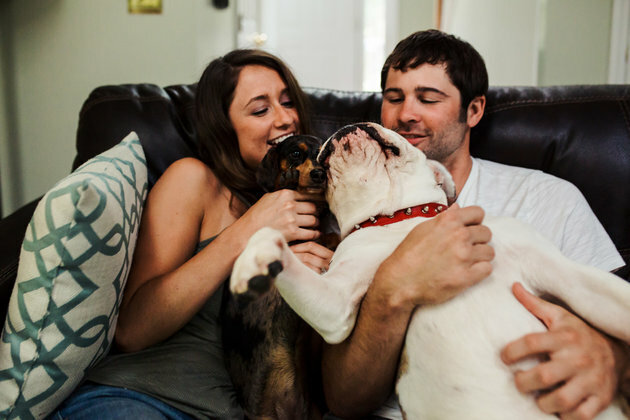 In a world where some couples’ engagement photos are overly extravagant productions that rival red carpets at movie premieres, it’s nice to see something that feels so intimate and, well, homey. Two people just being themselves is so utterly refreshing! P.S. Do you know your parents’ engagement story?